Hi there. Here’s my new tutorial published at Vectortuts. 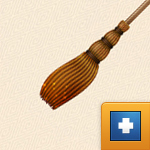 In the following tutorial you will learn how to create a broom illustration in Adobe Illustrator. In the first steps you will learn how to create the wooden stick using only a simple rectangle and the Appearance panel. Next, you will learn how to create two art brushes, how to create a simple blend, how to easily mask your shapes and how to save a simple graphic style. Hi there. Here’s my new tutorial published at Vectortuts. 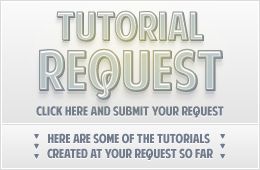 In the following steps you will learn how to create pixel perfect shapes using the grid, basic vector shape building techniques and Pathfinder options, how to save and use graphics styles or gradients, how to take full advantage of the Appearance panel or the Transform effect, how to add subtle textures using raster effects and masking techniques and how to add shading and highlights using basic blending techniques. Hi there. Have a look at my new tutorial published at Vectips. In the following steps, you will learn how to create a simple stopwatch illustration in Adobe Illustrator. For starters, you will learn how to prepare your document and how to set up a simple grid. Next using basic tools and effects along with the Appearance panel and the Pathfinder panel, you will learn how to create the main shapes of the stopwatch. Hi there. Here’s a new tutorial published at Vectortuts. 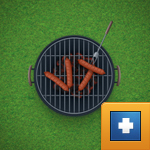 In the following steps you will learn how to create a detailed barbecue illustration. For starters you will learn how to create a simple pattern brush which will be use to create the grill along with a bunch of Transform and some basic blending techniques. Next, using simple circles along with Zig Zag and Roughen effects plus some basic vector shape building techniques you will learn how to create the coal. Hi there. 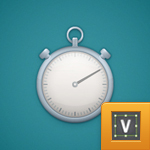 Have a look at my new premium tutorial published at Vectortuts. 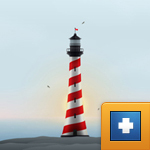 In the following steps you can learn how to create a detailed lighthouse illustration in Adobe Illustrator. 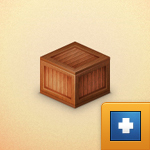 For starters you will learn how to create and save two simple symbols. Next, using a somewhat complex 3D revolve effect along with the saved symbols and a simple Warp effect you will learn how to create the main lighthouse shape. Hi there. Here’s a new tutorial published at Vectortuts. In the following tutorial you will learn how to create a detailed coffee maker illustration in Adobe Illustrator. Starting with the base, you will learn how to use a simple 3D Extrude & Bevel effect and how to add depth or shading using basic blending and vector shape building techniques. 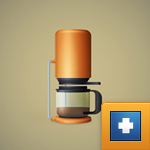 Next, using basic tools and effects you will learn how to create the rest of the coffee maker. Hi there. Have a look at my new tutorial published at Vectortuts. 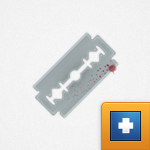 In the following steps you will learn how to create a simple razor blade illustration in Adobe Illustrator. For starters you will learn how to setup a simple grid. Next, using basic tools and effects along with some basic vector shape building techniques you will learn how to create the main razor blade shape. Hi there. 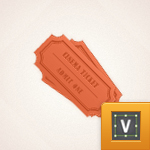 Here’s my new tutorial published at Vectips In the following steps you will learn how to create a simple ticket illustration in Adobe Illustrator. In the first steps you will learn how to set up a simple grid and how to create a pixel perfect ticket shape. Using this ticket shape you will learn some basic stuff about working with multiple fills, strokes and effects in the Appearance panel. Hi there. Have a look at my new tutorial published at Vectortuts. 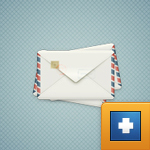 In the following steps you will learn how to create a detailed envelope illustration in Adobe Illustrator. For starters you will learn how to setup a grid and how to create a pattern and a simple graphic style. Next, using that pattern along with some basic tools and vector shape building techniques you will learn how to create the essential pieces of the envelope. Hi there. Have a look at my new tutorial published at Vectorcove. First, you will learn how prepare your document and how to setup a simple grid. 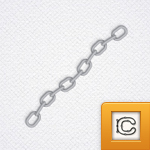 Next, using simple tools and effect along with some basic vector shape building techniques you will create the chain links. Finally, you will learn how to easily turn you chain links into a pattern brush and how to easily change its color.